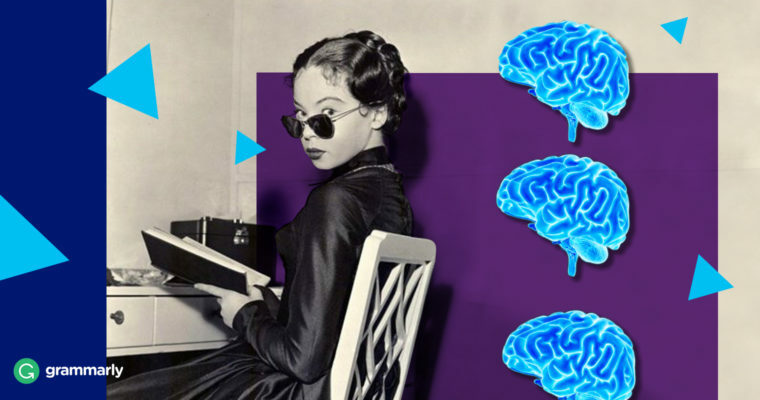 While the brain remains a massive and often murky frontier for scientific research, we’re devoted fans of the written word—and we’re always keen to learn more about the neurological effects of one of our favorite pastimes. Just as the brain can learn to take on the multifarious requirements of processing language from symbols—thanks to a property called neuroplasticity—it seems apt to retain the effects of doing so, as well. The neural changes that we found associated with physical sensation and movement systems suggest that reading a novel can transport you into the body of the protagonist. . . . We already knew that good stories can put you in someone else’s shoes in a figurative sense. Now we’re seeing that something may also be happening biologically. Berns says it’s worth noting these effects aren’t limited to the moments while you’re reading; rather, they’ve been detected via brain scans several days after the fact. Even if a book doesn’t change your life, it might change your week. That transportive property by which fiction can project readers into other people’s lives may also help us better relate in real life. Such was the finding of a 2013 study at The New School in New York, which found this benefit specific to the readers of literary fiction: They seem to excel at tests that involved understanding other people’s feelings. That result did not hold for the readers of nonfiction or genre fiction, by the way. But before you toss out your beach reads and histories in order to focus on the complete works of Chekhov, you might want to be wary of headlines that overhype the conclusion—e.g., “‘Mind-Reading’ Skills Boosted By Reading Literature, Study Suggests.” The brain is monstrously complicated; we still have much to learn of its machinations. Still, the suggestion seems to get some credence from more recent work by Keith Oatley, a University of Toronto cognitive psychologist who also happens to be a novelist. Fiction, Oatley says, is akin to a flight simulator—a kind of life simulation that allows us to gain experience without, you know, crashing and burning. When we read about other people, we can imagine ourselves into their position and we can imagine it’s like being that person. . . . That enables us to better understand people, better cooperate with them. This is more than merely a distraction, but an active engaging of the imagination as the words on the printed page stimulate your creativity and cause you to enter what is essentially an altered state of consciousness. Whether you read to soak in brilliant writerly techniques for your own next draft, or simply because it’s too loud on the train to enjoy podcasts—and whether you prefer leather-bound first editions or the alluring glow and convenience of a smart phone—Grammarly is glad to be part of the way you enjoy words. Reading5 Authors Who You May Not Know Were Women Lifestyle5 Reasons You Should Read a Damn Book ReadingAdvice on Positive Thinking From Winnie the Pooh ReadingWhat Comic Should I Read Next? LifestyleAn Ode To October LifestyleDon't Worry Bibliophile, Print Books Aren't Dying!